This article is crossposted on the Northeast Solar Energy Market Coalition website. The Pace Energy and Climate Center is a non-profit energy and environmental research and advocacy organization based at the Elisabeth Haub School of Law in White Plains, New York. The Northeast Solar Energy Market Coalition (NESEMC) brings together solar energy business associations and other solar stakeholders in the Northeast to harmonize regional solar energy policies and advance the solar energy market. Connecting distributed generation (DG) like solar photovoltaic (PV) systems to the grid is not the most straightforward thing in the world. The electric grid is a complex system, and electric distribution companies (EDC) must ensure that it is operated safely and reliably at all times. For this reason, EDCs are very cautious when it comes to interconnecting DG systems to the grid. Safe interconnection requires adherence to certain rules and procedures and the screening of projects for potential negative impacts to the overall grid. For project developers, these rules can be confusing and prohibitively expensive both in terms of dollars and time, especially when the rules differ from state to state, or even from EDC to EDC within a state. To address concerns for both maintaining grid safety and reliability without unduly hindering DG deployment, many states have developed standard interconnection guidelines and procedures. These procedures often delineate technical requirements, fees and cost responsibility, and the application process steps for EDCs and developers. States are cognizant of the need to revisit standard interconnection procedures on a regular basis. With rapidly advancing technology and best practices, there is almost always room for improving interconnection standards, and IREC maintains highly regarded model interconnection procedures that are updated periodically. Ideally, procedures would be standard in design and application across the Northeast. In the Northeast, New York and Massachusetts have completed significant revisions to their interconnection standards within the last two years. Three more states—Connecticut, Maine, and Vermont—are in the process of considering revisions to their standards as well. In addition to making formal improvements to interconnection standards, states are also beginning to form working groups consisting of developers, utilities, and other stakeholders to explore interconnection issues on a regular basis. Both Massachusetts and New York have initiated such groups, and other states like Connecticut are considering the same. We see these standing work groups as a best practice for staying on top of interconnection problems and issues. The Northeast Solar Energy Market Coalition (NESEMC) maintains an inventory of state interconnection guidelines. The remainder of this post provides a roundup of current affairs regarding interconnection in the Northeast in each of the Coalition’s nine member states. Connecticut’s Public Utilities Regulatory Authority (PURA) has established interconnection standards for distributed generation less than 20 MW. The last major revisions to the standards occurred in 2010. Separate streamlined guidelines exist for certified inverter based systems less than 10 kW, while systems larger than 10 kW and less than 2 MW may qualify for a fast track process if they pass certain screening criteria. In September 2016, the state’s two major EDCs jointly petitioned to increase the threshold for the streamlined guidelines to systems less than 20 kW. The move to 20kW was one of a number of proposed changes offered by the state’s solar industry group, SolarConnecticut (a NESEMC member). The utilities agreed that expanding the threshold will help alleviate administrative burdens caused by increasing numbers of residential solar PV projects between 10 and 20 kW. In addition to increasing the threshold to 20 kW, the proposal lightens insurance requirements and loosens capacity screens—two other suggestions made by SolarConnecticut. SolarConnecticut is urging PURA to also establish a method to more fairly distribute the cost of equipment upgrades, modernize the application payment method, and lift the external disconnect switch requirement. A docket is currently still open, and a final decision is expected in March. The Maine Public Utilities Commission (PUC) has established standard interconnection procedures for small generators not subject to federal rules (i.e. anything connected to the distribution grid as opposed to the transmission system). The last major revision to the interconnection standards occurred in 2009 and were based on the 2009 IREC model standards. In April 2016, the PUC opened a docket to consider revisions to their standard interconnection procedures, specifically addressing whether, and to what extent, the rules should be updated to reflect the most recent IREC model standards. Stakeholders provided comment in May 2016. No additional actions have occurred since. In Massachusetts, the Department of Public Utilities (DPU) maintains a model interconnection tariff that applies to all distributed generation. The last major revisions to the tariff occurred in May 2015 as the result of a multi-year effort by a DG working group convened by the DPU to explore interconnection issues. In addition to updated standards, the process also ended with the creation of the Massachusetts Technical Standards Review Group (TSRG). The TSRG held its inaugural meeting in March 2013 and has since been credited with successfully addressing several interconnection issues that were driving costs up for installers and prohibiting many projects from being completed. The group brings together utility and developer engineers in a non-adversarial environment to openly discuss common and utility-specific interconnection technical standards. It provides non-utility stakeholders a formal process to provide input on interconnection practices within the state. The success of the TSRG has driven the creation of similar groups in states like New York. Again, NESEMC considers the TSRG process a best practice that should be emulated and replicated throughout the region. Ideally, state TSRG groups would meet once or twice a year to address regional issues as well. New Hampshire’s interconnection standards are regulated by the Public Utilities Commission as part of the state’s net metering provisions. The standards only apply to net metered systems less than 1 MW—all other systems must abide by separate tariffs filed by each utility. The last major revisions to these provisions occurred in 2011. New Jersey’s Board of Public Utilities has designed standard interconnection guidelines (note: the official rule is only accessible on www.lexisnexis.com/njoal at N.J.A.C. 14:8-7). The rule applies to all forms of net metered distributed generation, which has no specified maximum capacity but must not exceed the customer’s annual on-site energy consumption. The last major revisions made to the standard rules occurred in 2012. 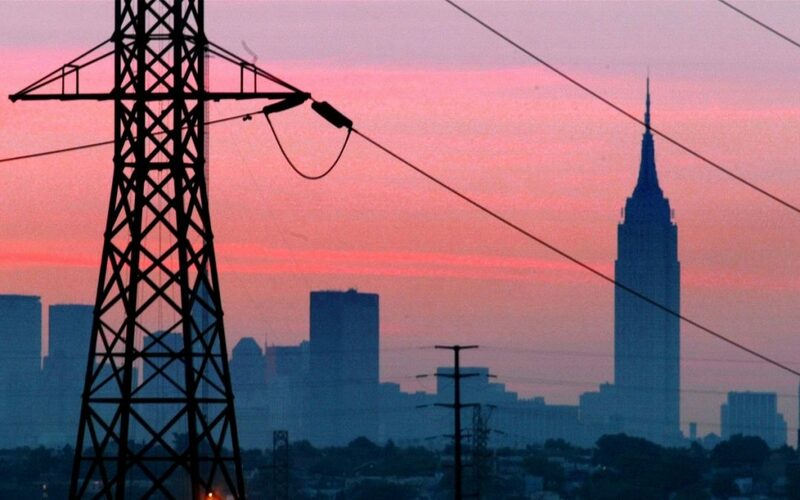 New York’s Public Service Commission (PSC) has developed Standardized Interconnection Requirements (SIR) that govern procedures for all distributed generation less than 5 MW. The last major revisions to New York’s SIR occurred in March 2016, which increased eligible projects from 2 MW to 5 MW and included a pre-application report process, improved screening procedures, and other changes. In addition to these changes, the revision process spawned two new groups to address other outstanding technical and non-technical interconnection issues on a continuing basis—the Interconnection Policy Work Group (IPWG) and Interconnection Technical Working Group (ITWG), respectively. One of the first tasks undertaken by the IPWG was to address the large backlog of projects waiting for interconnection approval. The group issued a joint proposal in September 2016, which includes provisions such as requiring demonstration of property owner consent and site control and binding timelines for developer decisions. Stakeholders provided formal comments on the proposal in December 2016. The Pennsylvania Public Utilities Commission (PUC) has established standard interconnection guidelines for distributed generation less than 2 MW. The last major revisions to the standards occurred in February 2009. Rhode Island’s Legislature has defined a set of standard interconnection rules for all net metered DG. The rules do not cover a lot of issues defined by standardized procedures in other states. However, the state’s predominant utility—National Grid—maintains fairly comprehensive interconnection procedures that include many of the important standards seen in other states including a pre-application report, tiered and streamlined project review pathways, and specific timelines. In Vermont, the Public Service Board (PSB) has adopted interconnection standards for any distributed generation not subject to federal rules (i.e. anything connected to the distribution grid as opposed to the transmission system). For net metered systems less than 150 kW, these standards can be found in Board Rule 5.100. For all other systems, standards are found in Board Rule 5.500. Over the past year, Vermont’s PSB has considered several changes to their interconnection standards. First, in a proceeding to consider changes to Rule 5.100, which primarily deals with net metering policy, the most recently proposed changes remove any rules governing interconnection for net metered systems less than 150 kW. Instead, all net-metered systems would be governed by Rule 5.500. The revised net-metering rule has been filed with the Vermont Secretary of State. Stakeholders provided formal comments in early December 2016. The changes have not yet been formally adopted. · Shorter and more defined timelines among other changes. The rules are also written under the assumption that the PSB will maintain a new electronic interconnection application submission system funded by the U.S. Department of Energy. With a proposal on the table, the next step in this process requires the PSB to issue a revised rule for public comment.